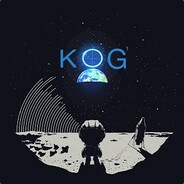 How to join =.KoG.= clan as squad member/gaming buddy? The Knights of Gaia clan (aka =.KoG.= ) is always looking for players who are cool and who also know what it means to have fun. Being part of a clan doesn't necessarly means a very strict structure with lots of rules and so on, the few we have can be reduce to just: "have fun and respect others", not hard isn't it? We want everyone to have fun with us and if possible getting the best place for... Gaming! (and on game servers for squad members), in addition they are granted access to our private game servers and discord raffles which were originally dedicated to our clan members only. against trolls if they disrupting the game on our servers while no clan members are around. That being said, this tag is NOT mandatory when you are squad member, especially on our servers which are not for Source engine games. /!\If you have been a trouble maker on our servers and/or if you have been VAC banned on any game, don't even bother applying. Your application will be denied. When applying be sure to fill in the form with everything. Overwise if after 1 week max you don't complete it, your application will be denied. And don't forget, just like you, we all have our lives!